Imagine that there is a place out there right under your nose that defies all logic and description. A place that is both unmistakably desert, and at the same time oasis. A place with dripping ferns, bubbling springs, and waterfalls—but all contained within some of the most inhospitable land in the lower 48. Imagine a contradiction, a paradox, a defiance of the rules of the game. And now, imagine that the place you are imagining is real, solitudinous, and—as of yet—still completely pristine. 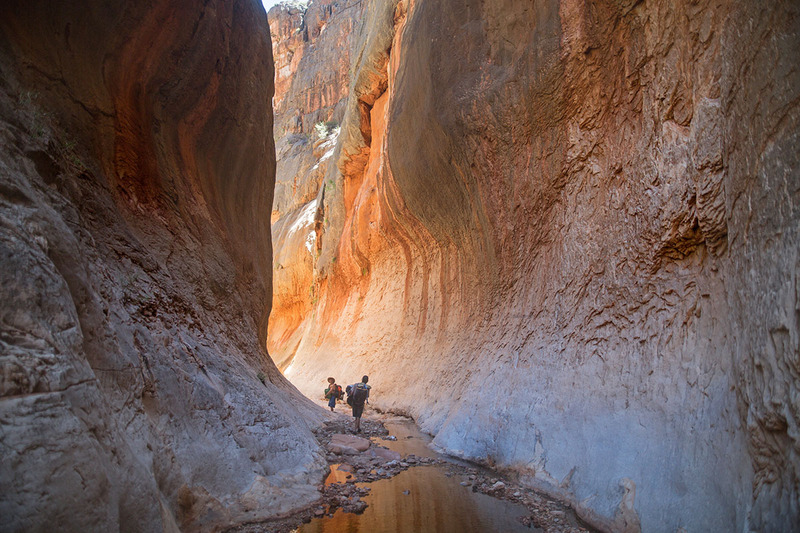 Imagine Kanab Creek. It’s four in the morning when we depart Flagstaff, Arizona. A sliver of sunlight shimmers on the horizon. The air cools as we make our way through the largest Ponderosa forest in the world, climbing in elevation, a temporary reprieve from the sprawling wastelands of the desert southwest before we re-enter the fray somewhere south of Fredonia. Meredith is ebullient at first, then asleep. Crispin is at the wheel; Meghan keeping faithful shotgun watch on the road. I’m in the back, next to Meredith, wondering what this Kanab Creek place is really all about. I know nearly nothing about our route, or destination; and that’s the way I like it. Crispin says we will need my climbing skills. I hope he’s right. The sun is well up in the sky when we meet Leo at Fredonia. Another two hours of dirt roads and cliff edge wanderings deliver us to our drop-in point: the location of which I am sworn to secrecy about. It is not, in the end, so difficult to discern. Some clever sleuthing on Google would easily unearth our tracks. But Crispin is hard-nosed and steadfast in his disapprobation of giving away the desert’s secrets, and I am inclined to agree. 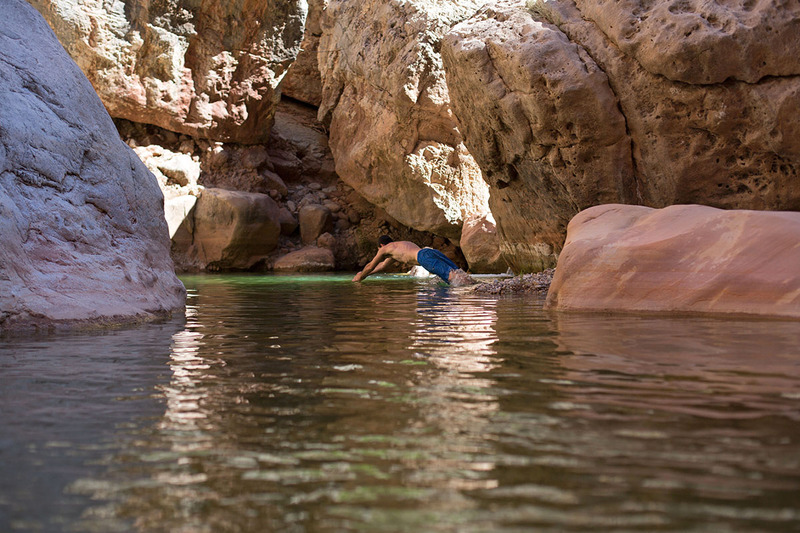 So consider this an entry point into the hard-won paradise of Kanab Creek. It ain’t easy to get there, nor should it be. For what it’s worth, putting together the clues of how we five miscreants wandered down to Kanab Creek wouldn’t be nearly as hard as following in our footsteps. There is a certain degree of self-preservation staying my hand against spilling the beans, as I don’t want any lawyers coming after me for being an accessory to some stranger’s demise from dehydration on the Esplanade, or a rattler bite up in the Coconino. There are far too many places along our path that offer far too many ways to get yourself killed for me to be able to recommend it in good faith to anyone. Luckily for you, there are other ways to arrive. The most common is the Jumpup-Nail Trail, which provides a bona fide path (a veritable highway, compared to what we travelled) from Sowats Point, 50 miles south of Fredonia, all the way down to the creek bottom. 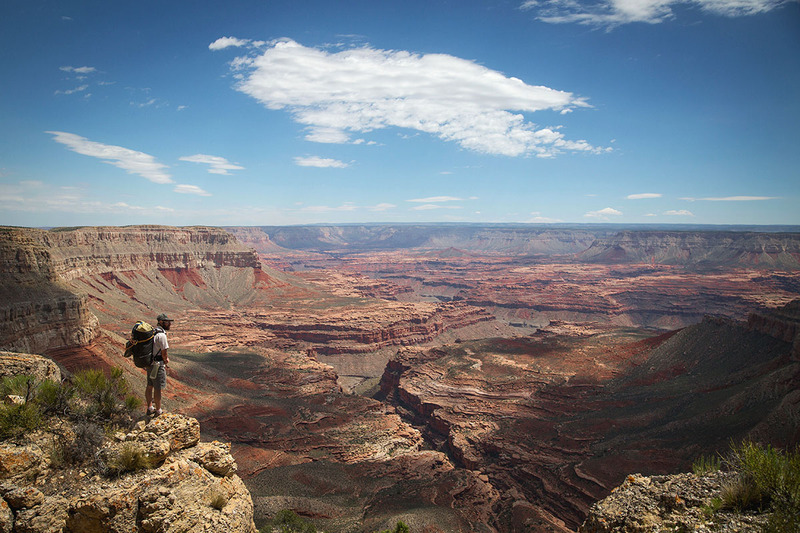 You may find that hike to take a day, or two, or three, depending on your level of comfort and experience with Grand Canyon hiking. 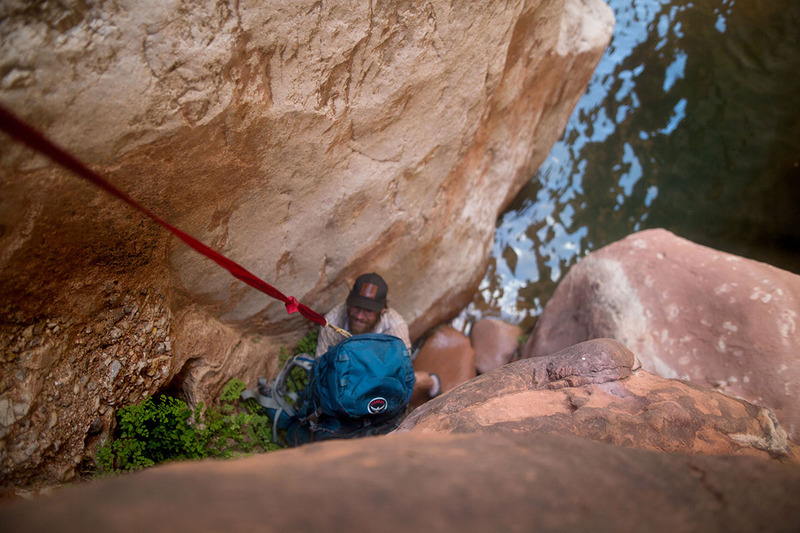 Of course, the longer it takes you to get down, the more food and water you’ve got to carry (no water until below the Esplanade, 1,000 feet in elevation beneath the canyon rim). And the harder the hiking is, the longer it takes to get out. Even the easy way isn’t easy. 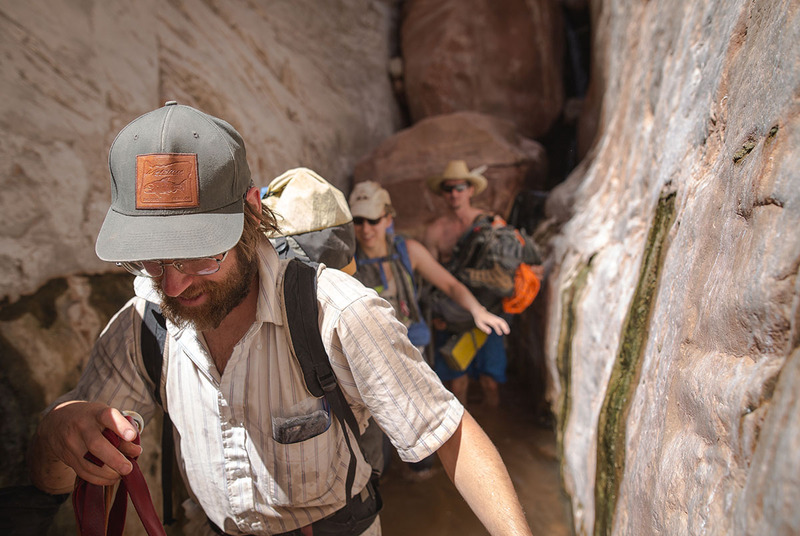 Of course, if you don’t much care for steep loose hiking in the hot desert sun, you can always make your way to Kanab Creek via raft. The process for that is fairly straightforward: Put in for one of the highly coveted Grand Canyon non-commercial rafting trip permits, hope your number gets called, and repeat for roughly 25 years until you win the lottery. There’s always that, as an option. If it seems like I’m being discouraging, it’s because I am. 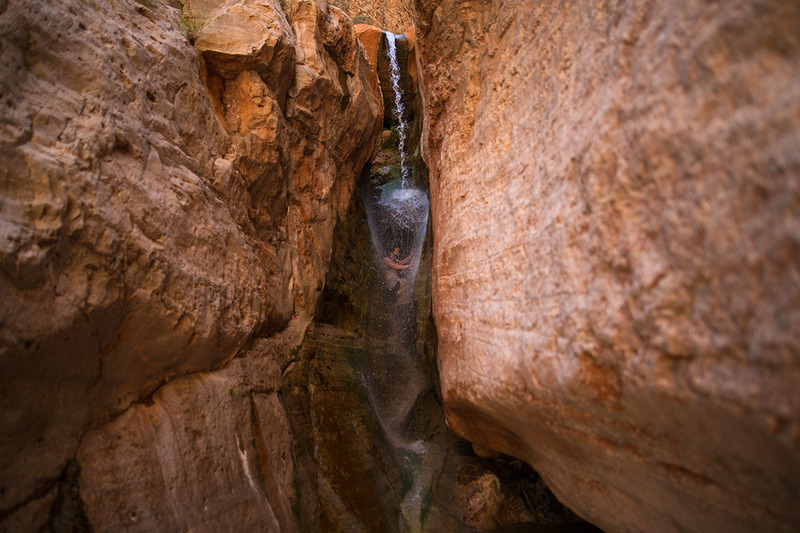 The truth is that for those who truly want it—for those starry-eyed desert rats who eat sleep and breath Grand Canyon—it’s not especially hard to get down to Kanab Creek. But those folks have earned their quarry through a deep and abiding love of the place, which inherently (in my experience) breeds respect and good treatment. There isn’t much in the way of litter or other signs of modern human inventions down there, and I’d like to keep it that way. The average tourist who lacks even the slightest modicum of appreciation for TRUE wilderness, and even less of an understanding of leave no trace etiquette— I’d just as soon they not make the trip. I’m trying to weed out the folks that really don’t belong there, both for their own sake and for the good of all who do. All diversions aside—including a fair share of fifth-class downclimbs and close run-ins with rattlesnakes—we made it to Kanab Creek just in time to sit around and do absolutely nothing productive, useful, or profitable for the better part of four days. Most of the time was spent speculating on the thoughts of ravens, the location of big horns, and trying to walk anywhere without stopping at each of the thousands of paradisiac pools that blocked our “progress” (the oil that greases all the machinations of modern civilization) at every turn. Yet our little tribe of ne'er do wells were not a complete waste of space throughout the duration of the trip. We did stuff, sure enough. But the point that is important to get across here is that what all we did do doesn’t sound like much to write home about. We didn’t walk to the top of Half Dome, or meander around General Sherman, or stumble (with throngs of other tourists, hundreds of mules, and the excrement of both) down the Bright Angel trail to buy a cold one at Phantom Ranch, sleep on a cot, and hike out. We didn’t achieve or accomplish anything. But that is precisely the draw of the place. You don’t look out, you look in. Not big, but small. You don’t pick a destination and circumambulate it—you just sit still and let the destination circumambulate you. 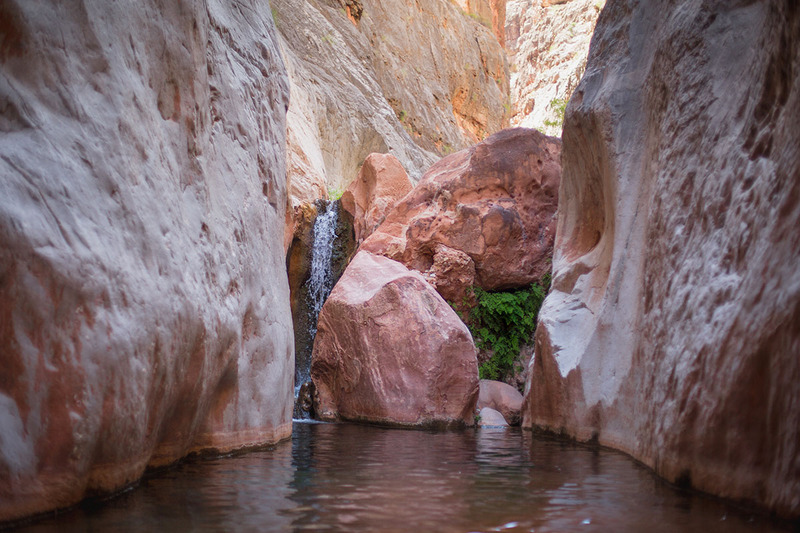 And if you’re lucky, Kanab Creek will find you to its liking and let you in on some of its secrets. And so our days were spent mostly just slackjawed and pie-eyed about everything and nothing at all. The play of light on a captive ripple here, a shooting star across the night sky there, the jovial chortle of a Canyon Wren, the amicable curiosity of a Canyon Tree Frog: these things held our attention for hours at a time. We raced twig and leaf boats through narrow channels cut into the polished Muav bedrock like something out of a Japanese tea garden. We weren’t even on drugs. We didn’t need to be. It was just that kind of trip. If you want a list of sites, I can provide it sure enough. In the voice of some tour bus operator coming squeaky over the bullhorn: “Showerbath Springs is a must see location... Scotty’s Hollow is paradise on earth (if you can clamber your way up to its finer reaches)... Be sure to check out Whispering Falls... Don’t miss the Muav Ledges campsite... Of course, any trip to Kanab Creek is not complete without forging your way down to the mighty Colorado River!” I can tell you all these things, and you can plan your trip by them. But you know what? We didn’t sleep at the Muav Ledges campsite, we never made it to the Colorado, and Whispering Falls was frankly less impressive than some other unnamed cascades we tarried at along the way there. And I can comfortably say that I speak for all of us when I tell you that nobody gives a damn. We had an absolutely phenomenal time, and if you go down there, no matter what “sites” or “attractions” you see or don’t see, so will you. By the time we made our hellacious hike back to the car, and the long hot drive back to Flagstaff, we were so wowed out by what we had experienced that we felt nothing short of withdrawal. 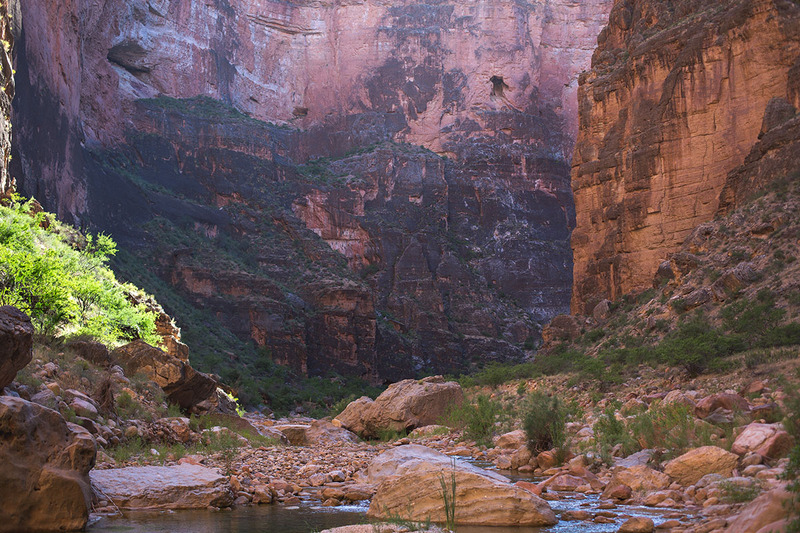 It took Crispin—poor devil— weeks to stop talking and daydreaming about Kanab Creek. Meredith can’t stop thinking about frogs. Meghan is already planning her return trip. Leo (who got considerably more than he bargained for as far as exposure to dangerous cliffs goes)... well, nobody has heard from Leo since; but I have a good feeling he’s jonesing for this little slice of paradise just as hard as the rest of us right about now. And me? I have been so infected by the desert that the palette of the place—the drab olive greens of the water and lime green of the tamarask, the vaguely lavender Muav limestone and the carmine glow of the Redwall, the blood-orange of the esplanade and the blue sky above—resides upon the furrows of my mind like a fine sheen of synthetic lubricant. I can’t seem to get rid of it. It’s a permanent residue that I swear I can taste in my dreams, and smell in my waking life. And if you go there, well, I suppose the same thing is likely to happen to you. And for that reason, maybe the following goes without saying. Yet good prudence insists that I practice due diligence, and utter the words that I can only hope would elicit an emphatic ‘Duh’, and an eyeroll to launch a thousand ships. When you leave the place, leave it better than you found out. Not ‘as good as’—better. What litter you find (we found almost none), pick up and carry out. Camp on durable surfaces. Follow the rules those cheeky NPS Ranger buggers ask you to, when they give you your permit. They are not so onerous, nor invasive. In fact, there is scarcely any oversight breathing down your neck, at all. That’s a double-edged sword. It means if you happen to be of the reefer-smoking persuasion, you aren’t likely to have any run-ins with uppetty law enforcement stooges with a bad attitude and an axe to grind. But on the other side of that coin, it means there’s precious little in the way of authority to protect the place from inconsiderate slobs. The onus for that is on YOU. It’s on all of us. 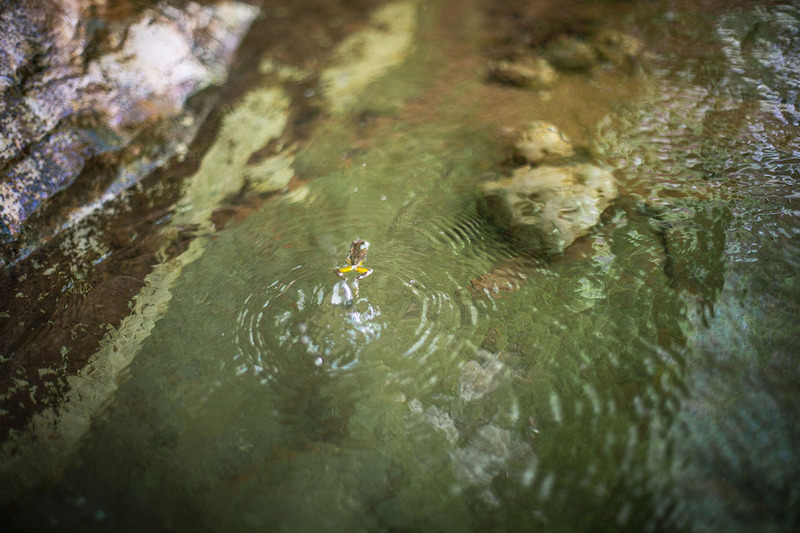 We have the distinct and divine privilege to take responsibility for maintaining the place, and prove to the whole world that we don’t need guard rails, sidewalks placards, and trashcans every thirty feet or so to help “interpret” just what it is that makes Kanab Creek so special. I don’t take that privilege lightly, and I hope neither will you. I don’t mean to be sanctimonious, but this is important, folks. This is true wilderness. It is precious. It is all that remains of the best thing we’ve ever had. 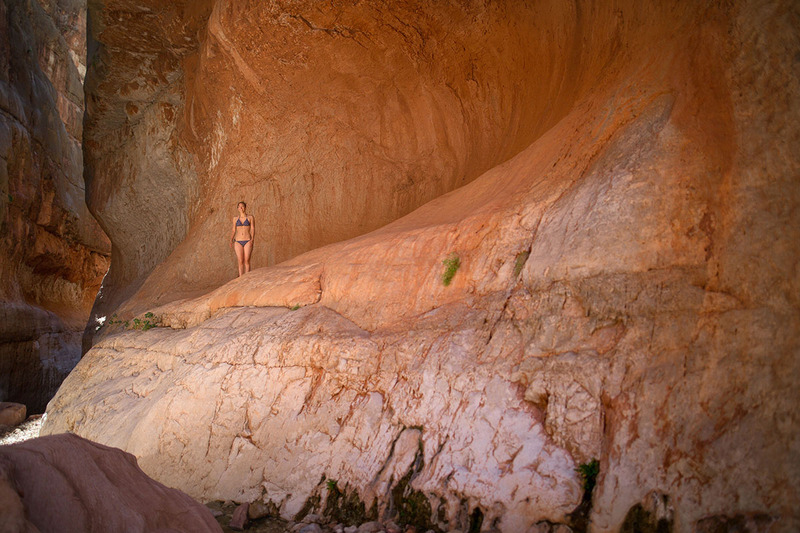 Kanab Creek is a remote and massive canyon system draining into the Colorado River from the north. The system is accessible from all sides offering an array of options for how to come and go. The Jumpup-Nail Trail is the most common, and that trailhead is about five hours northwest from Flagstaff, Arizona, and four hours southeast of Saint George, Utah. 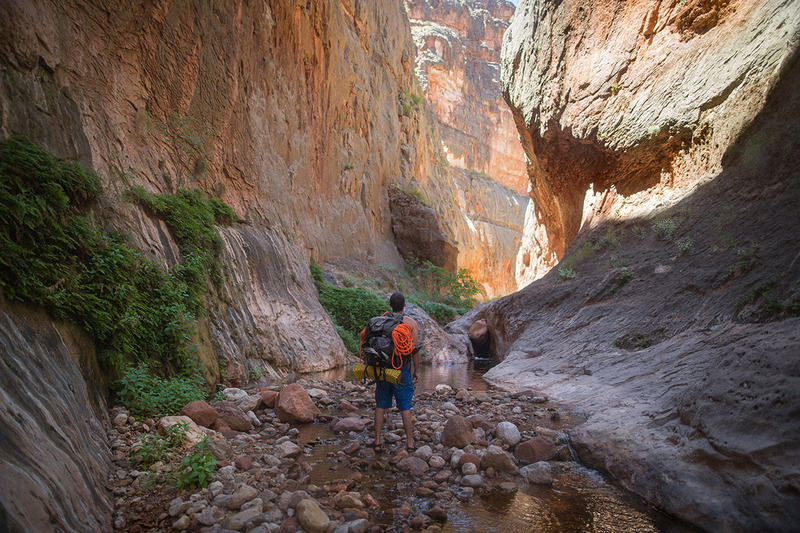 The most pleasant parts of Kanab Creek (the northern reaches are less spectacular) lie within Grand Canyon National Park, and camping there requires a backcountry permit. You can go any time of year, but summer can be dangerously hot, and winter can be a little cold. Your best bet is spring and fall. 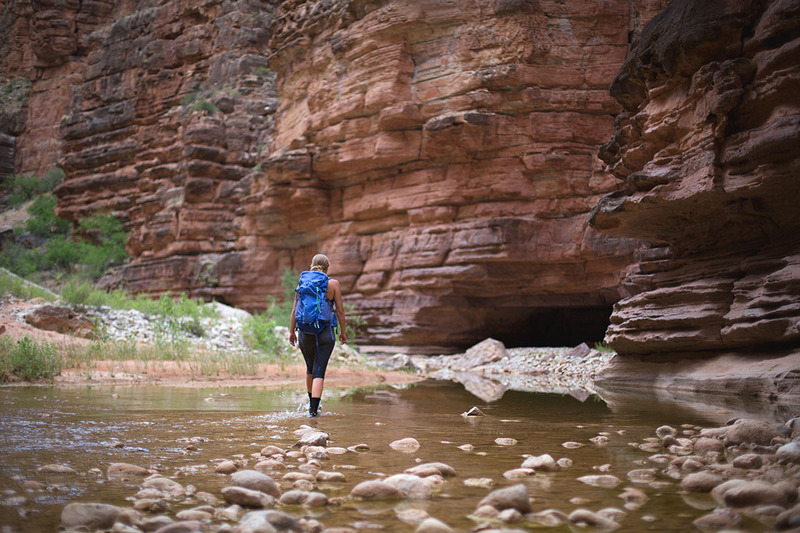 It is imperative to follow Leave No Trace principles during your stay in Kanab Creek. 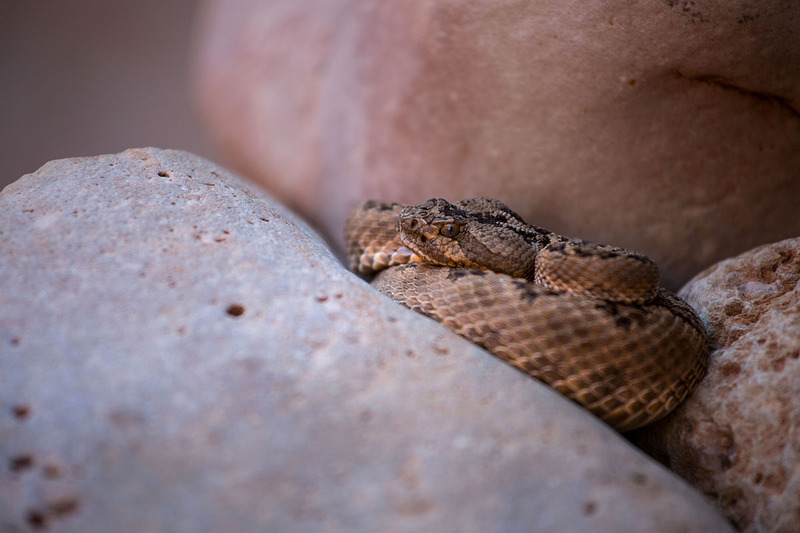 Wildlife viewing opportunities abound: ravens, big horn sheep, canyon wrens, rattlesnakes, canyon tree frogs, chuckwallas, and many other remarkable species can be found within the canyon. We stayed right smack dab in the middle of Kanab Creek. Plain and simple. We made a camp just a little bit south of Scotty’s Hollow nowhere special in particular, and we stayed there until we left. I’d be happy to recommend any number of places to camp, but truthfully, there are an infinite number of perfectly idyllic spots to choose from. Wherever you camp, keep it tidy. Those ravens don’t mind a tasty treat at the expense of absentminded hikers. For starters, our common sense and a healthy dose of the Ed Abbey bible. You bring those two things, and you’ll be just fine, brother. On a more serious note, though, what you really want to do is pack light and have maximal dry-bag capability. What makes the place so special is all the water, and that means you’ll be spending a healthy amount of time in it. 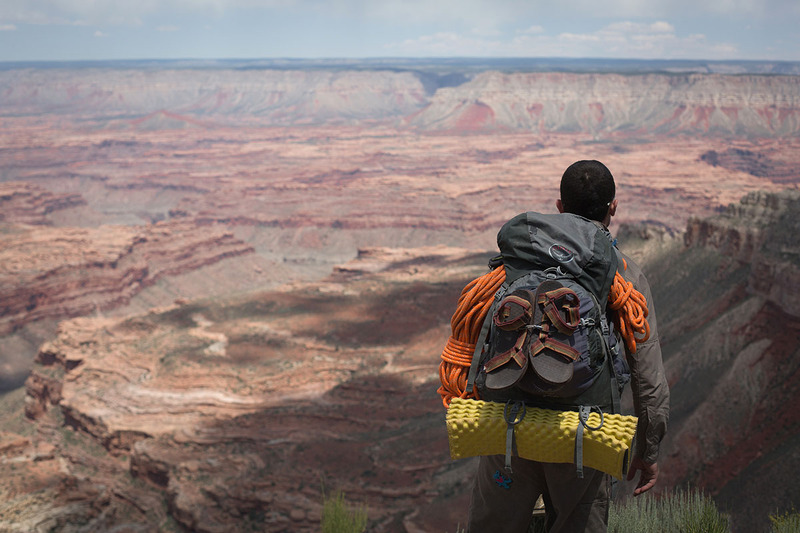 For the most part in the canyon itself, there’s no trail to speak of. Your everything is definitely, at some point, likely to get wet. Contractor trash bags, and fancy rolltop dry bags are essential items, as are water shoes, sandals, and sunscreen. The lighter you can make it the better, as it simply makes the haul in and out infinitely more pleasant. No tents, you won’t need them. No heavy outerwear, it’s too hot for it. No changes of clothes, you can wash your shirt and shorts each day (without soap, please, a simple rinse will do), and they will literally dry out overnight. A 35-degree bag was more than enough. There are more than a handful of clean springs that require no purification, but definitely bring a filter. Oh. And bring poop bags. You know what none of us stepped in? A big pile of human excrement. Nor did we see any “toilet paper flowers,” Let’s keep it that way, folks. Others came before… This was a traditional stomping grounds for the Basketmaker peoples as far back as two thousand years ago. We saw no archaeological sites there, but that doesn’t mean they don’t exist. Pictograph panels and potsherds can be found here and must be treated with the utmost respect and care. One million years bad luck to be bestowed on anybody who removes these objects from their sacred resting place. Chris Kalman is a devout climber and writer who lives in Fort Collins, and you can learn more about his work here. Meredith Meeks is filmmaker and photographer based out of Flagstaff. Her portfolio can be found at Meredith Meeks Media.